Perfect kiting destinations do exist..you just need to bend your mind! Flat water, kickers and wide open sandy bottom = Perfect Kite spot! Learn to Kite in our perfect learning area with shallow water where you can stand up and regroup after a crash.... or use the school's 45' Ocean going Carbon Fiber catamaran to escape to our world class surf break for a full on surf session...or head out to the unexplored Lau group on our Kite Cat Looping for a weeks kiting expedition to paradise...the choice is yours and Kite Fiji can do it all!! Kite Fiji has the best kiting spot in the country with shallow water you can stand up in everywhere. All sand bottom with no corals to slice your feet. protected by a barrier reef from swell, or head out through the pass for perfect kickers and swell. Kite Fiji has a perfect beach fro setting up out of the wind where you can launch and land your kite yourself safely and comfortably. Kite Fiji has IKO certified instructors to help you learn fast! Already an advanced Kiter? how about a week trip on our 45’custom carbon fibre Kite Cat Looping to unexplored atolls and the perfect wave spots where you will be the only kiter gauranteed!! Kite Safari's to Paradise are the ultimate kiting holiday ...Hands down!! Our Kite beach is protected by a reef to windward so has butter flat water and two islands on either side to boost the windspeed a few extra knots. It's the perfect place to advance your skills with our IKO certified instructor. Cabhrina Team rider Alberto Rondina loves hitting the kickers just off the reef in Taveuni...find out why for yourself!! How about a 25 nautical mile downwinder along the coast of our national park with over 600 waterfalls cascading into the sea? 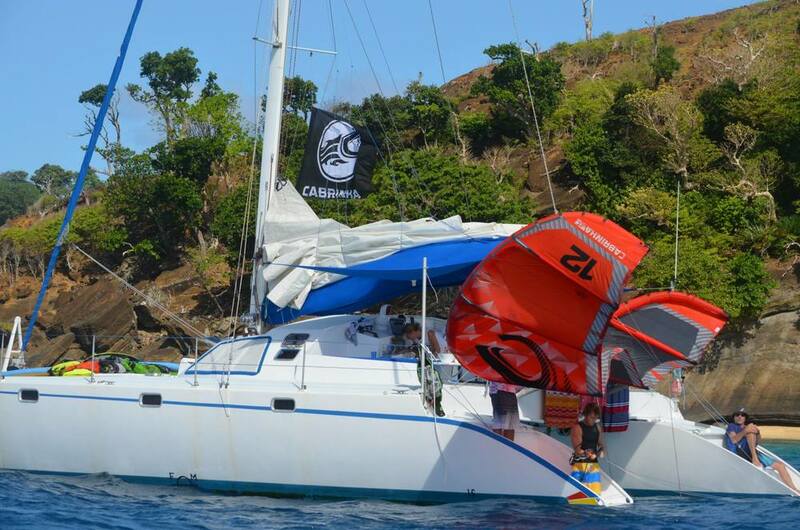 Kite Fiji can make your kiting dreams come true! !